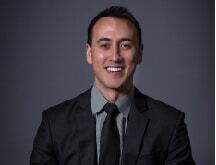 Kyle joined JMH & Co. in 2009 after graduating from the University of Calgary with a Bachelor of Commerce degree. He received his Chartered Accountant designation in 2013 and now works with small-to-medium sized businesses and individuals to meet their tax planning and compliance needs. Kyle has a wealth of experience in taxation including Canadian & US tax and he focuses in helping clients with business and tax planning, specializing in cross-border issues. Kyle strives to provide relevant and practical advice to his clients by promptly returning any client correspondence.